ℹ Finally, the long awaited song called Free World Illusion is out loud! ℹ The music video Free World Illusion is out now! ℹ A new song called My Inclination Song is coming out soon! This is kinda protest song meditating on that we are not free in what we consider free democratic world. Feel free to click the 'Play' arrow of the above player and listen. 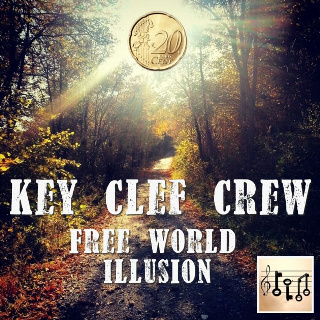 This is Key Clef Crew, an independent alternative pop/rock/jazzy band, actually currently mainly a studio project. You're welcome to link to this site or use a single image and brief description to link back to any post. Republishing posts is allowed and welcome.